A touring art collective by Art Institute Kitakyushu, the Kitakyushu Biennial is here in Singapore after outings in Germany, Sweden and Japan. Kimi Kim Jalan Jalan is an all-new collaborative effort between artists Young-Hae Chang Heavy Industries from Korea and Japan's Takuji Kogo. 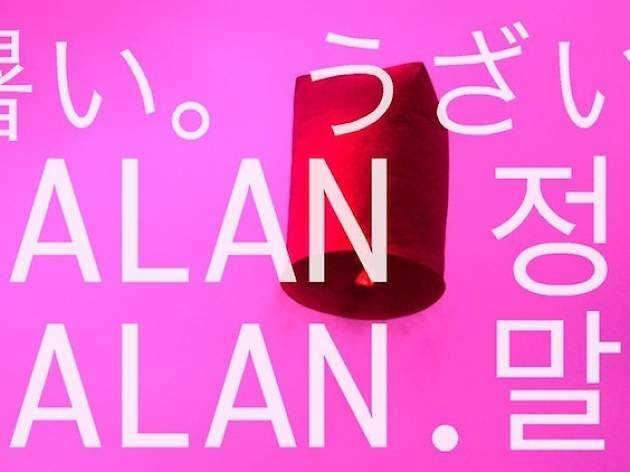 The exhibit features a satirical monologue in English, Japanese and Korean in an ASMR style, which aims to impact audiences through the five senses.